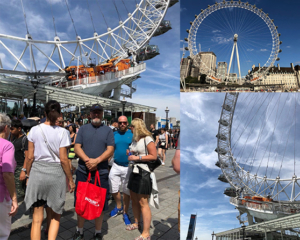 BNAC Founder, Chris Richardson, visits the London Eye – Filled with Panolin! We are absolutely thrilled that our Founder, Chris Richardson, has finally been face to face with the infamous ‘London Eye‘. This 135m high attraction has been filled with Panolin Hydraulic Fluid since the turn of the millennium. Built in 1999, the hydraulic systems have been exclusively filled with Panolin HLP Synth. The first oil change was not performed until well over 100,000 hours of operation. The stats are almost as jaw dropping as the views from the top! A DEVASTATING ACT OF GRIEF Catch us in the September Issue!